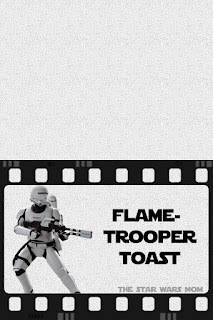 In "The Force Awakens" Flametroopers are specialized Stormtroopers of the First Order. These hotheads are known for using their D-93 Incinerator weapons to project flammable gel (conflagrine-14) that ignites and burns up the battlefield. 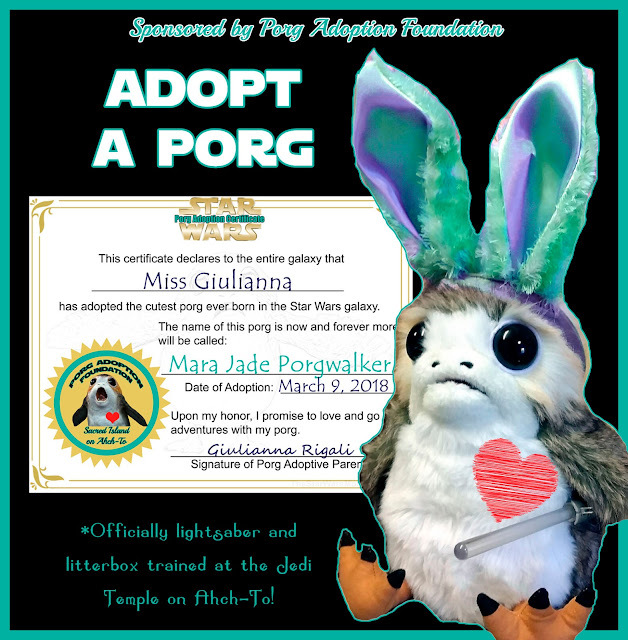 It is often used to flush out their enemies from their hiding spots. 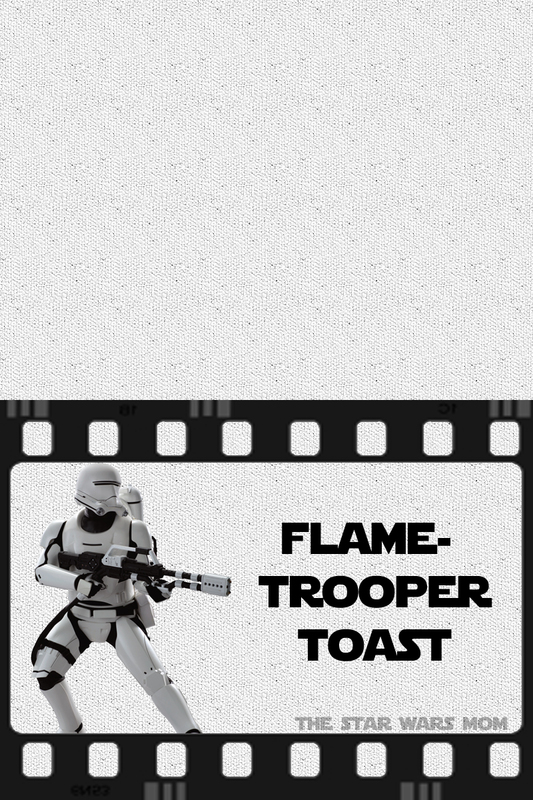 So what happens if the Flametroopers mix this flame with toast? 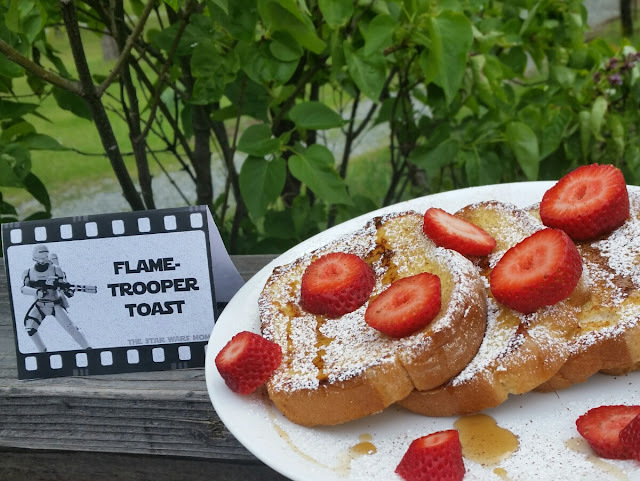 Well you would end up with delicious French Toast, but in Star Wars Land it is called Flametrooper Toast. Use your favorite French Toast recipe, print out this label and you'll have an excited family at the Sunday Brunch table. 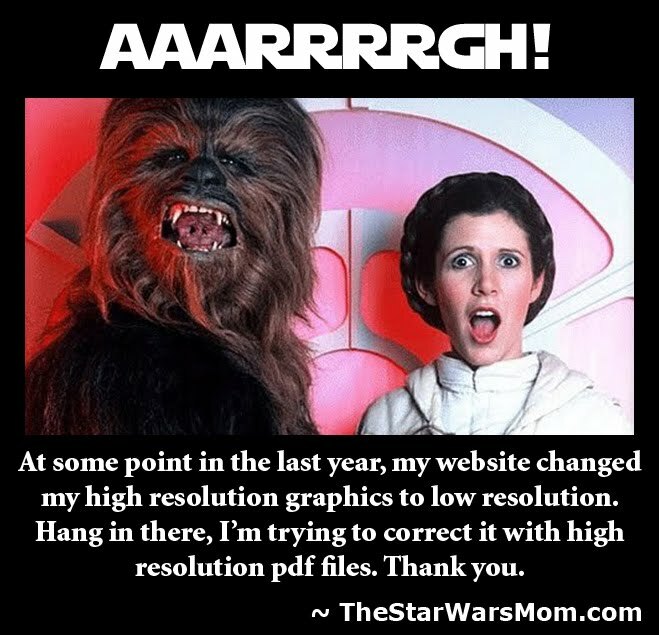 Also, this works great as a breakfast when the children awaken at your Star Wars Slumber Party.